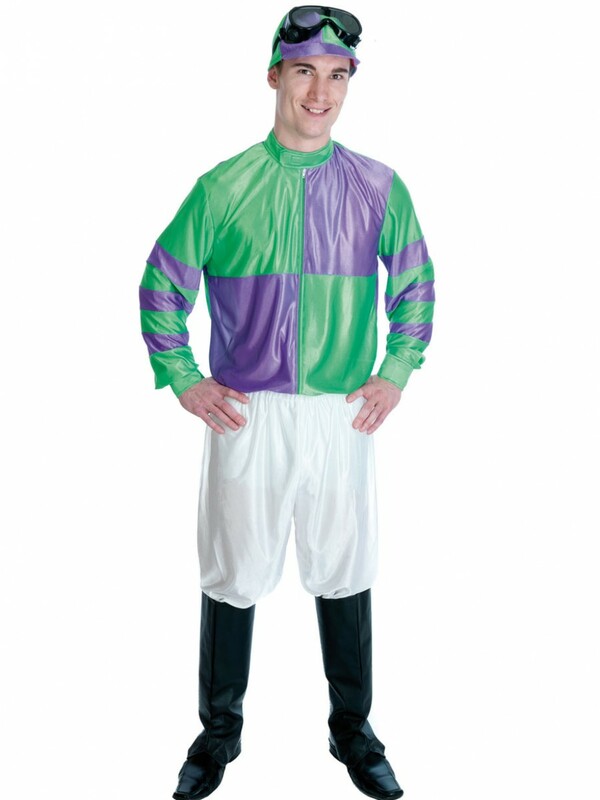 Guaranteed to add fun to any night out; this Green and Purple Jockey Costume is perfect for Comedy/Sport themes. This outfit includes Top, Trousers, Hat, Goggles and Boot Covers. Head off to the races with this brilliant Green and Purple Jockey Costume, ideal for Comedy, Sport and Stag Do occasions where fancy dress is essential! This fun outfit includes Top, Trousers, Hat, Goggles and Boot Covers. The green and purple jersey style top is a sure head-turner. The sleek material adds shine to this fantastic outfit. 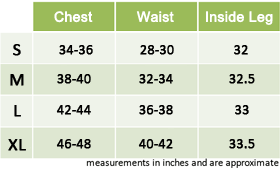 The top divides in to a quarter-squared style with purple stripes around the sleeves, and zips down the front. Also included in this costume is a pair of bright white trousers with a pair of leather-look boot covers to fully invest in the jockey look. The green cap-style hat has a purple peak and thick stripe across the front. A pair of elasticated goggles with clear lenses and thick black frames add the finishing touch to this detailed Green and Purple Jockey Costume! Going out as a group? This Green and Purple Jockey Costume also has teammates. As part of the perfect group costume, ideal for a Stag Night, this outfit can be worn as one third of a team, with the Red & Yellow and Blue & Yellow Jockey Costumes sold separately! Available in Medium, Large and XL. Green and Purple Jockey Costume including Top, Trousers, Hat, Goggles and Boot Covers.